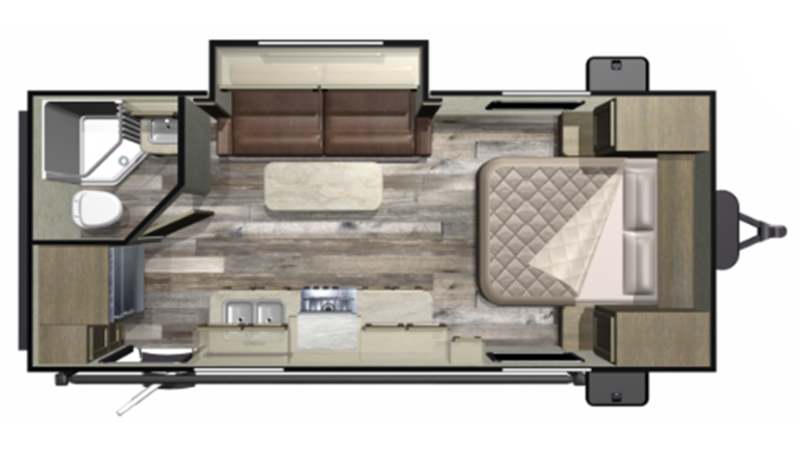 RV World MI has been serving RV enthusiasts in Michigan and beyond for years because we pride ourselves in offering only the best RV brands from the top manufacturers in the industry! Our focus is very simple: we help our customers find their dream RV at an unbelievably low price! You can find the RV brand you love - 5th wheels, travel trailers, and more! 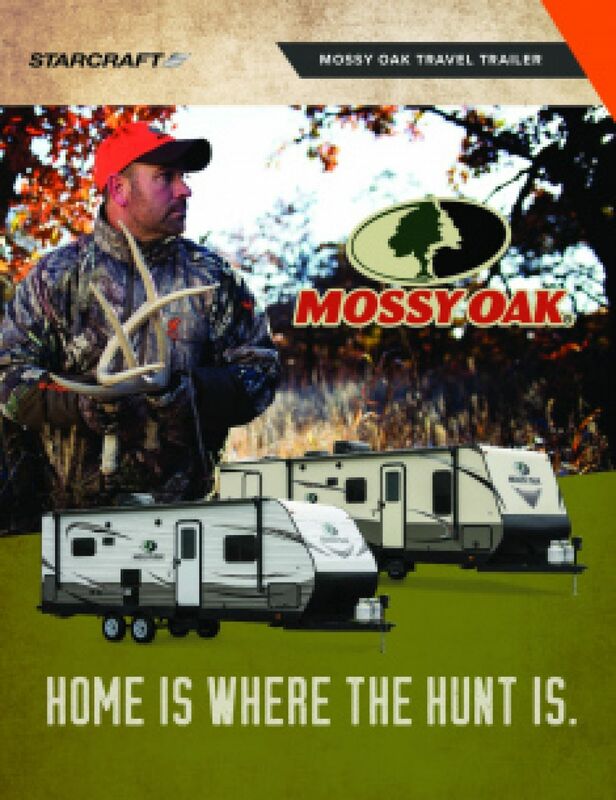 You'll especially love this 2019 Starcraft Mossy Oak 20FBS! This Travel Trailer is a great choice for a family of adventurers! Come in and see us today! We're conveniently located at 7834 S Division Grand Rapids Michigan 49548. Don't worry if you don't live in the Grand Rapids area because with our 24/7 reliable nationwide door to door delivery, we can bring your RV to straight to your door! Give us a call at 616-591-3632! You'll be in your dream RV in no time! At the end of the day, nothing washes away the dust and grime of a full day of outdoor fun or relaxes sore muscles like a nice, hot shower. Your whole family can enjoy that luxury without trudging to the damp, messy, communal campground bath thanks to the superb master bathroom with its roomy shower and its handy Foot Flush toilet! With 60 lbs. of LP tank capacity, you won't run out of hot water anytime soon! There is a 32 gallon gray water tank and a 32 gallon black water tank.